About: Chronic kidney disease is a gradual loss of kidney function over a period of months or years which causes a build-up of toxins in the blood. CKD is a common disease in middle-aged to senior cats. Causes: There are a number of causes of chronic kidney disease including infection, hereditary, kidney tumours, nephritis and nephrosis, polycystic kidney disease, aging and idiopathic (no known cause). Symptoms: Frequent urination, increased thirst, weight loss, bad breath, decreased appetite, weight loss, lethargy, oral ulcers, vomiting, drooling (due to nausea) and anemia. Diagnosis: Thorough physical examination along with baseline tests including biochemical profile, complete blood count, urinalysis as well as urine specific gravity, x-rays and ultrasound. Treatment: Low protein diet, phosphorous binders, anti-nausea medications and in some cases erythropoietin to increase red blood cell production. 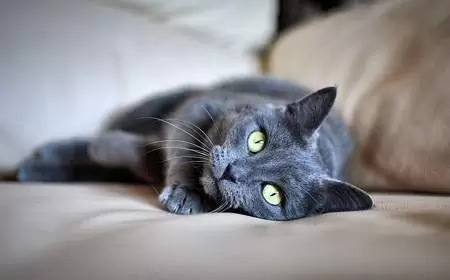 CKD is the progressive deterioration of the kidneys, which happens over a period of time and is one of the leading causes of death in senior cats. Each kidney has tiny filtering units called nephrons. Blood passes through the kidney and is filtered by the nephrons. They reabsorb what is needed, and the waste is excreted in the urine. The wastes come from the normal breakdown of active muscle from the food the cat eats. The body uses food for energy and self-repair, and after it takes what it needs, waste is sent to the blood and transported to the kidneys and eliminated from the body via the urine. The kidneys are an amazing organ, and even with the loss of some nephrons, the remaining ones can compensate. Kidney disease becomes apparent when 70% of the kidney function has been lost. Once this happens, the kidneys are unable to remove the waste from the body, and therefore these wastes build up in the cat causing poisoning. Kidneys help control blood pressure by releasing an enzyme called renin. When blood pressure drops and kidneys don’t receive enough blood, renin is released; causing blood vessels to contract (tighten). When the blood vessels contract, blood pressure goes up. Kidneys filter waste products and excess water from the blood. The cleaned blood stays in the body and the waste products leave the body in urine. Over time, the more damage to the kidneys the more they lose their ability to filter efficiently. The kidneys are no longer able to conserve water and concentrate urine; therefore more urine is produced, and the cat drinks more to make up for this extra urine output. Chronic kidney failure also causes other problems such as anemia, high blood pressure, and bone disease in the body by impairing hormone production by the kidneys. Your veterinarian will perform a thorough physical examination and take a medical history of your cat. Complete blood count: A test of the blood which counts the various types of cells which make up whole blood, this may reveal anemia (low red blood cell count). Biochemical profile: This test of the plasma (the clear straw coloured) portion of the blood may reveal elevated blood urea nitrogen (BUN), and creatinine are both indicative of renal failure. Hypokalemia (low blood potassium) due to increased urinary excretion. Urinalysis: A test of the cat’s urine will be able to provide additional information on the extent of kidney damage, urine-concentrating ability and if an infection is present in the urinary tract. Kidney ultrasound or x-ray: To evaluate the size and shape of the kidneys and look for tumours. Kidney biopsy: A sample of the cat’s kidney is taken via an ultrasound-guided needle for microscopic evaluation. With proper treatment, your cat may still have many months or years of life ahead. 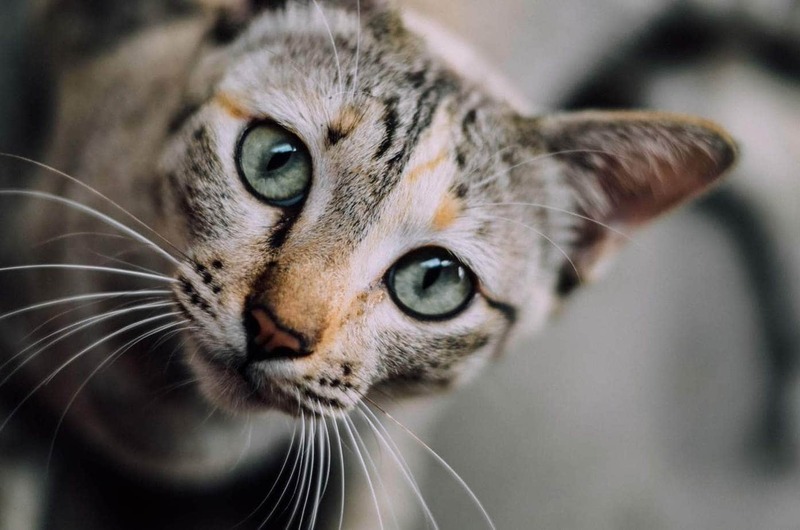 Reducing the level of toxins in the cat is essential as well as maintaining adequate hydration as affected cats need to compensate for large urine outputs. Encourage water consumption by providing fresh, clean drinking water at all times. Some cats can be encouraged to drink more by providing them with a water fountain. Dehydrated cats will require administration of fluids subcutaneously. If necessary, your veterinarian can teach you how to administer fluids at home. Such a prescription diet contains a lower percentage of protein and less phosphorus than regular cat food. Cats need protein every day for growth, building muscles and repairing tissue. After the body uses the protein in the foods, a waste product called urea is produced. Cats with kidney failure are not able to get rid of this urea normally. Damaged kidneys are also not as efficient at removing phosphorous from the blood which causes the level of phosphorus in the blood to become too high. A high blood phosphorus level can cause the cat to lose calcium from their bones. Hills g/d (Dry and canned) – For ageing cats to support the kidneys and heart. Hills k/d (Dry and canned) – Low phosphorous and sodium, reduced but high-quality protein. Royal Canin Veterinary Diet Renal (Dry) – Low phosphorous, reduced but high-quality protein. Eukanuba Veterinary Diets Renal (Dry and canned) – Low phosphorous, reduced but high-quality protein, omega 3 fatty acids. Purina Pro Plan Veterinary Diets Feline NF Renal Function (Dry and canned) – Low phosphorous, reduced but high-quality protein. Phosphate is an abundant mineral in the body. Together, calcium and phosphate work closely to build and repair bones and teeth. Around 85% of phosphate is in the bones, and the remaining 15% is stored in the cells where it is responsible for energy metabolism as well as being an integral structural component of DNA and RNA. The kidneys filter excess phosphate and excrete it out of the body in the urine. As the kidneys begin to fail, they are less able to get rid of excess phosphate, and levels start to build up. A high blood phosphorus level may cause the cat to lose calcium from their bones. Your veterinarian can prescribe phosphate binders in conjunction with a restricted phosphate diet to slow the progression of kidney failure. Phosphate binders work by binding to phosphate in the gastrointestinal tract, which prevents it from getting into the bloodstream. Medication which helps reduce blood pressure, these are usually calcium channel blockers, beta blockers, ACE inhibitors, and diuretics. Norvasc (Amlodipine) is a calcium channel blocker which is the most common medication to treat high blood pressure in cats. Medications won’t cure high blood pressure but will assist in controlling it. These medications block the production of stomach acid or neutralise it. Pepcid (famotidine), Zantac (ranitidine), Tagamet (cimetidine) and Losec (omeprazole). Nausea is a common symptom of chronic kidney failure due to increased toxins in the bloodstream. Remeron (mirtazapine), Cerenia (maropitant) can be of help to reduce nausea. A side effect of nausea (see above) is a loss of appetite in many cats. Remeron (mirtazapine) which is listed above is not only an anti-nausea medication but is also an appetite stimulant. The kidneys produce a hormone, erythropoietin, which instructs the bone marrow to produce red blood cells. Cats with kidney failure often have a low red blood cell count. Only the human form is available, and some cats may eventually recognise this substance as foreign create antibodies against it. This can be difficult to gauge, and it is important to have a good relationship with your veterinarian who will be able to guide you. Ultimately, when treatment is no longer enough to keep the disease at bay, and/or if your cat is suffering, it is time to consider euthanasia. I personally have kept a cat (who had cancer) alive for longer than necessary. At the time I wasn’t aware, but in hindsight, I believe she should have been euthanised 2-4 weeks sooner. It is heartbreaking to say goodbye to a beloved pet, but we must do what is best for the cat and not let them suffer. Dr Alice Villalobos, a veterinary oncologist, created a quality of life scale which can help caregivers and veterinarians determine when the cat’s quality of life is such that euthanasia must be considered.